What is next for cannabis legalization in Canada? Canada’s legal medical marijuana business is booming and as of 2018 cannabis will be legal for recreational use as well. With over 25% of the population using cannabis, a huge increase of investment into stocks for Canadian cannabis companies, and a predicted 22.6 billion dollar industry in the future, you might think that the US’s neighbor to the north has it’s cannabis laws all figured out. But Canada hasn’t always been as pro-cannabis as it is today, and even now, Canadian citizens continue to be arrested for cannabis crimes and dispensaries are being shut down. To give context on this complicated situation, we have compiled a brief history of cannabis’ legal status in Canada. Read on to learn more. The history of Canadian cannabis starts with hemp. Much like in the US, the canadian government used hemp to stimulate industry. In 1801, the Lieutenant Governor of Upper Canada actually handed out hemp seeds to Canadian farmers, hoping they would cultivate the useful and hardy plant. By 1822, the provincial parliament of Upper Canada began to set aside money to incentivise hemp cultivation and purchase machinery for its processing. 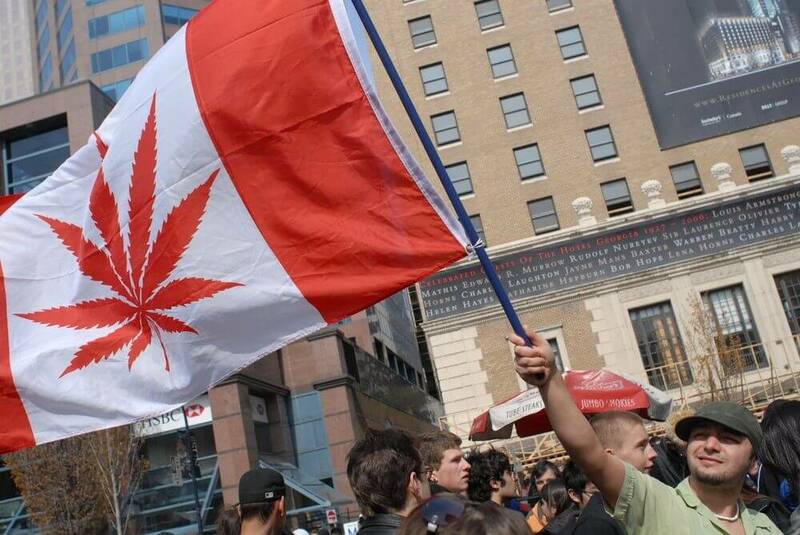 In 1923 Canada become one of the first countries to enact anti-marijuana laws, criminalizing cannabis a full 14 years before the US began its legislative quest against ‘reefer madness’. For reasons that continue to be mysterious to historians, Canadian legislators introduced the Narcotics Drug Act Amendment Bill, adding cannabis to the list of illegal drugs along with opium, cocaine, morphine, codeine and heroin. This passed with little discussion, and it wasn’t until 1932 that the first seizure of cannabis was made by Canadian law enforcement. In the 1960’s, counterculture movements like the hippies and beatniks brought cannabis along with other psychedelic drugs into more popular use. But strong anti-cannabis laws meant that the increase in popularity was met with a drastic increase in arrests and convictions. To give some idea of this shift, Canada saw only 25 convictions for cannabis in the 16 year span between 1930 and 1946, but in 1962 there were 20 convictions in that year alone. By 1968, the number of cannabis cases had skyrocketed to 2,300. By 1972 it had reached nearly 12,000 cannabis convictions. By 1969 the Canadian government had caught on that cannabis was becoming increasingly popular and formed the Royal Commission of Inquiry in the Non-Medical Use of Drugs. Also known as the Le Dain Commission, this commission was formed specifically to investigate the non-medical uses of drugs, and determine what role the government should play in their regulation. The Commission’s final report included recommendations to scale back criminal penalties for drug users, and focus more on treatment and medical management. Unfortunately, none of these suggestions were enacted. Then, in the 1970’s protests began. In 1971, Canadians in Vancouver held the Gastown Riot, the first ‘smoke-in’ to protest anti-cannabis laws. Also referred to as the ‘Battle of Maple Tree Square’, this peaceful protest was met with brutal force from Canadian police wearing riot gear and mounted on horseback. The police cleared the area forcefully, beating the protesters with riot batons. 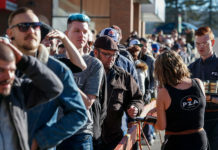 Despite these strong efforts from protesters, and recommendations from the Le Dain Commission, Canada didn’t see much progress in the fight for Cannabis legalization until decades later. In the year 2000, the new millennium finally brought cannabis reform to Canada, when the Ontario Court of Appeal ruled that cannabis prohibition was unconstitutional. This groundbreaking decision came after an appeal from an epileptic cannabis patient, Terrance Parker, who had been arrested for cannabis possession, cultivation and trafficking back in 1996. Parker had been using and cultivating cannabis after he discovered that it was the only thing that seemed to help his epileptic seizures, but Canada’s laws at the time did not recognize medical use of cannabis. Parker was arrested on multiple occasions. After his 1996 arrest, he appealed his case to the Canadian Charter of Rights and Freedoms and the judge agreed. Limiting his rights to use this medicine was a violation of his right to life, liberty and the security of his person. With this ruling, the Canadian government was given a strong mandate to reform their current cannabis laws. Only a year later, in 2001, Canada enacted it’s first medical marijuana laws, the Marihuana for Medical Access Regulations, which would allow qualified and licensed patients to use cannabis for medical reasons. It also allowed patients and licensed growers to cultivate the plant. Then, in 2003, Canada introduced it’s first measure to decriminalize cannabis nationwide. 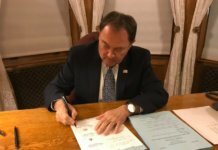 This measure reduced the penalties for possession of cannabis (for up to 15 grams) to a civil fine. Unfortunately, pressure from the U.S. Drug Enforcement Administration cause this bill to die, along with a second identical measure introduced in 2004. In 2006, Canada saw some setbacks to legalization, as Prime Minister Stephen Harper brought on new mandatory prison sentences for cannabis dealers and cultivators. Anyone convicted of growing 500 plants or more had a mandatory two-year prison sentence, with maximum sentences increased to 14 years. This was double from the previous maximum of only 7 years. Still, by 2011, the court had once again reaffirmed the unconstitutionality of prohibiting cannabis possession and cultivation. Justice Donald Taliano ruled that these prohibitions went against the constitution and the Canadian government was ordered to shift their policies yet again. After this, the government worked to create the Marihuana for Medical Purposes Regulation or MMPR, which included provisions for a legal and commercially licensed distributions and production of cannabis. Since then MMPR has been revised to allow for the production of cannabis oils and other forms beyond just the cannabis flower (as of 2015), and to allow patients to produce their own cannabis (as of 2016). In 2017, the Canadian government took things to a new level, proposing the Cannabis Act, which, if passed would allow adults to legally purchase, possess, use, and cultivate small amounts of cannabis, whether for medical OR recreational purposes. The Cannabis Act will go into effect in 2018, and while this is great news for the cannabis movement, for many advocates the fight has just begun. As we’ve seen cannabis legislation has gone back and forth in Canada’s history. For now the focus may be shifting to the unfolding of the new regulated market. Still, it may not be the longstanding cannabis producers and advocates that make it into this regulated marketplace. As unregulated dispensaries in Canada are being closed down, new money is pouring into the Canadian cannabis industry through the stock market, and many fear that Big Pharma is making a play to take over this multi-billion dollar industry. These fears are not entirely unfounded as we begin to see Canadian cannabis companies pop up with ties to the competing industry. Take Toronto-based cannabis company Emblem, for example. Emblem was started by John Stewart, the former president of the company responsible for bringing Oxycontin to the world. As more and more cannabis patients trade in thier opiates and other pharmaceuticals for buds, Big Pharma has tried to keep prohibition going by donating to anti-pot groups. But as legalization continues to increase all over the world, more than one pharmaceutical company has opted to branch out into this lucrative industry, rather than fight it. Some worry that the big money from the pharmaceutical industry could easily come in and cut out the small businesses, turning cannabis into another one-size-fits-all pharmaceutical option. Dr. Emily Earlenbaugh is a cannabis writer and educator. 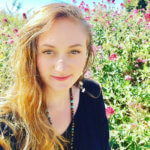 She is the director of education for Mindful Cannabis Consulting, where she teaches patients how to find the cannabis options that work best for them. Emily is the author of the online course “The Mindful Guide to Cannabis” and has a doctorate in philosophy of science from UC Davis. 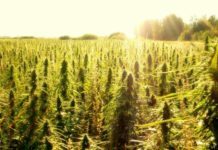 Hemp Is Finally About To Go Fully Legit In The U.S.
Will Alberta Cannabis Solve Supply Shortage Issues?